We are very glad to announce our partnership with Solutia Intelligence, a leader in the development of technology solutions for companies and public entities. Through this agreement, our customers will be able to interact and communicate with citizens, engage local businesses and connect departments. The integrated solution for smart cities provide services such as Big Data Analytics, IoT sensor Management, Multi-Channel Communication, Traceability and Connectivity. Solutia Intelligence offers all its expertise in the planning, management and integration of the information technologies necessary to offer the most competitive solutions in the services of traceability, connectivity, proximity, digital marketing, citizen sensor factor and social network analytics, together with MOCA.  In addition, it develops business mobility applications and software solutions as a service for companies. 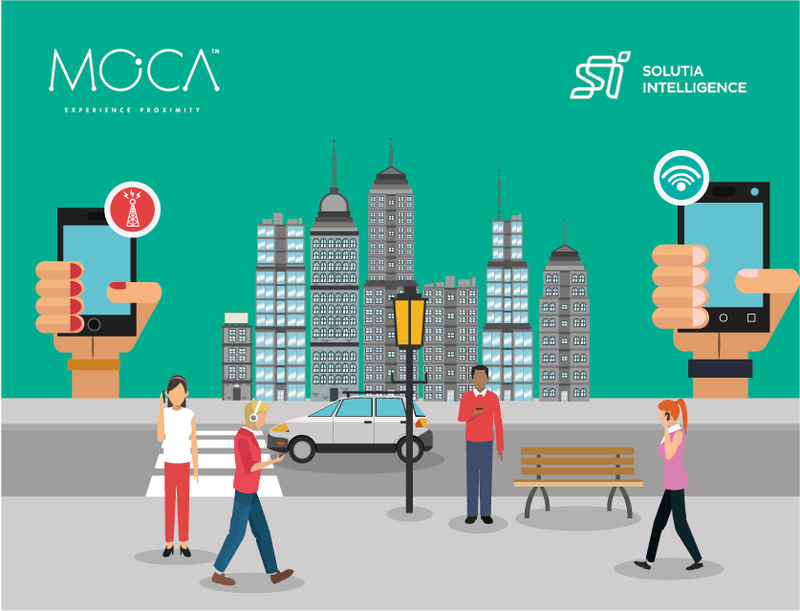 For its part, MOCA Platform allows to improve communications and provide behavior analysis, real-time data and location-based technologies to make cities smarter. 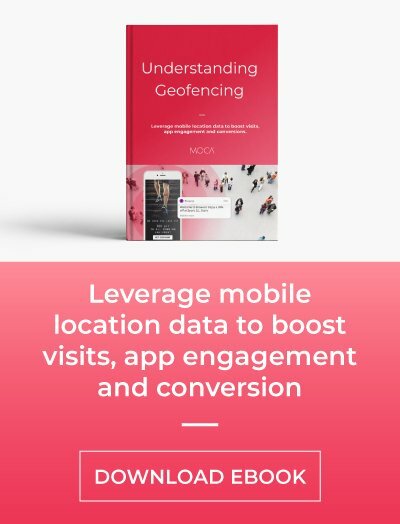 MOCA uses Machine Learning algorithms to learn, segment, recommend and predict what the citizen wants and needs at the right time and place. As a result of this partnership, citizens, governments and local businesses benefit from Big Data and location-based technologies as it happened for Tequila Intelligent Magic Town that has deployed BLE (Bluetooth Low Energy) beacons, geofences, Wi-Fi and video surveillance cameras throughout the city. The Tequila Town in Jalisco, Mexico, receives about 300,000 visitors each year and more than 40,000 citizens will benefit from the project. 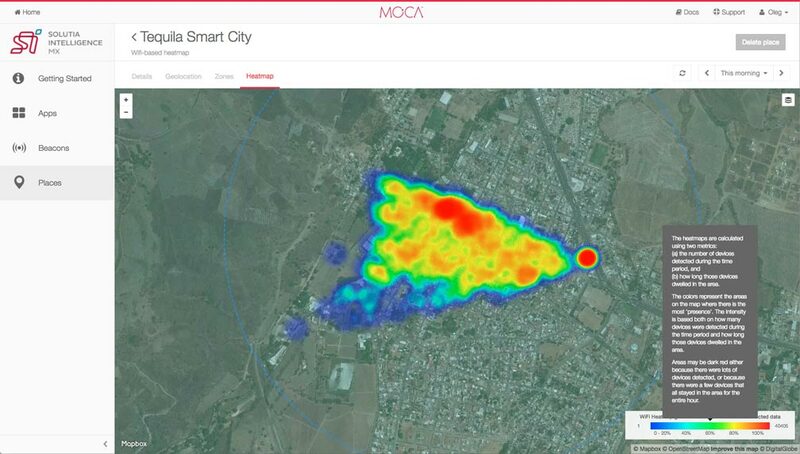 Elias Dau, CEO and Founder of Solutia Intelligence, explains "The relationship with MOCA allows us to give greater value to our smart cities and IoT projects, such as the Tequila Magic Town; it is an urban intervention that is part of the strategy of consolidating Jalisco as the capital of innovation. MOCA provides us with an excellent opportunity to demonstrate our expertise and to deliver high-value solutions based on pioneer technology to our clients." Maria Fernanda Gonzalez, CEO and co-founder of MOCA, says: "This agreement represents a strategic alliance that reinforces our offering to smart cities providing a wide range of services with the most advanced technologies and tools". In addition, she specifies that "The possibilities of collecting information from different sources (mobile devices, Bluetooth sensors, geolocation, Wi-Fi and other systems) and processing it to improve citizen knowledge are endless. 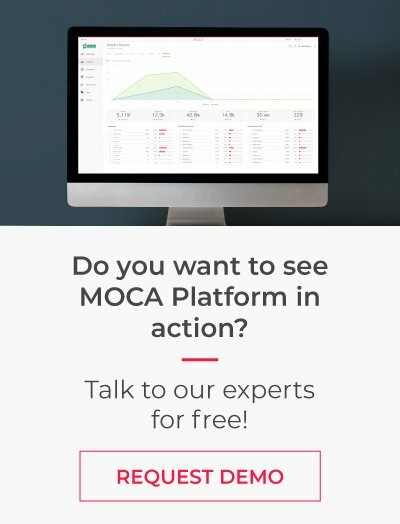 MOCA offers an innovative solution placing Big Data Analytics and Machine Learning technology at the service of citizen communications." Do you want to learn more about how digitalization drives tomorrow’s future? LET’S TALK!